Adorable scarecrow. 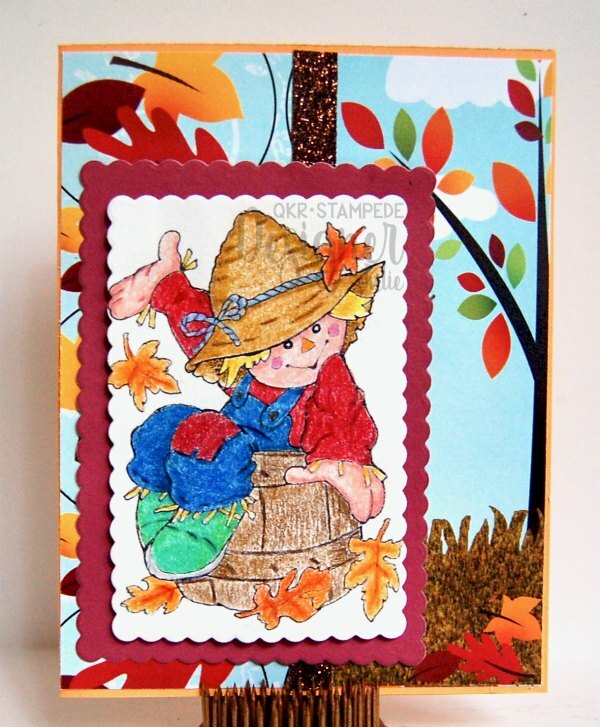 I love fall cards. DArling card! LOVE the image! This card really gets me in the mood for fall! Thanks for joining our weekly challenge at QKR Stampede! This is absolutely adorable! Cute image and love the way you framed him. Thanks for entering our "Fall Challenge" at Dies R Us! ADORABLE!!! Thanks so much for playing in our ‘Anything FALL’ challenge at Dies R Us. Good Luck and please come back again soon!